As mortgage rates have dipped to modern record lows this fall, the inevitable question of how low can rates go seems to be one of the hot topics as we enter the last quarter of the year. Ironically, just this last spring economists had been warning that rates would probably be rising by now. At the end of March, the Federal Reserve wrapped up an initiative intended to drive down mortgage rates by buying $1.25 trillion worth of mortgage-backed securities. Despite that, the consensus view throughout the mortgage industry was that rates would rise steadily through the end of this year. Instead, mortgage rates fell steadily through the summer and into the fall. Now, economists speculate the Fed might start buying Treasury securities to drive long-term interest rates even lower to try to boost the economy. The speculation seems to have put a cap on mortgage rates at least through the end of the year and the beginning of next year. “I see rates low and I see them continuing low for a pretty long period,” says Paul Anastos, president of Mortgage Master, a lender based in Walpole, Mass. A.W. Pickel, CEO of LeaderOne Financial, a mortgage bank based in Overland Park, Kan., says he doesn’t see how rates could go much lower. 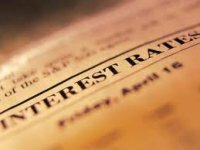 “The mortgage interest rate should be inflation plus cost of funds. That should put us in the 4s, which is where it is,” he says. But the real answer is that no one really ever knows. Just like asking the weatherman to accurately predict unpredictable weather, asking an economist to predict an unpredictable economy usually ends with the same result.